If you are in need of large sum of money and do not know how to raise it and whom to approach, you can avail loan against property (LAP). A LAP can be availed against residential or commercial property, which is required to be mortgaged with the bank or financial institution. The lender usually provides loan to the extent of 60-70% of the prevailing market value of the property. There are many benefits of availing a loan against your property. If you are in need of large sum of money and do not know how to raise it and whom to approach, you can avail loan against property (LAP). A LAP can be availed against residential or commercial property, which is required to be mortgaged with the bank or financial institution. The lender usually provides loan to the extent of 60-70% of the prevailing market value of the property. 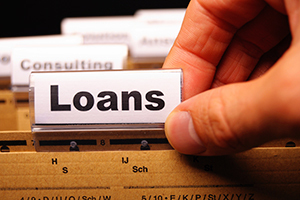 There are many benefits of availing a loan against your property. 1) The loan amount can be quite substantial, depending on the market value of the property. 2) The loan approval and disbursal is speedy and hassle-free since the bank gets a fixed asset as collateral against the loan. Hence, LAP is the best option for a person who is in need of large amount of money.